The U.S. military failed to disclose thousands of airstrikes over the last several years in Syria, Iraq and Afghanistan, according to the Military Times. An investigation revealed Sunday that the U.S. conducted at least 456 airstrikes in Afghanistan last year that were not recorded in the open-source database kept by the U.S. Air Force. 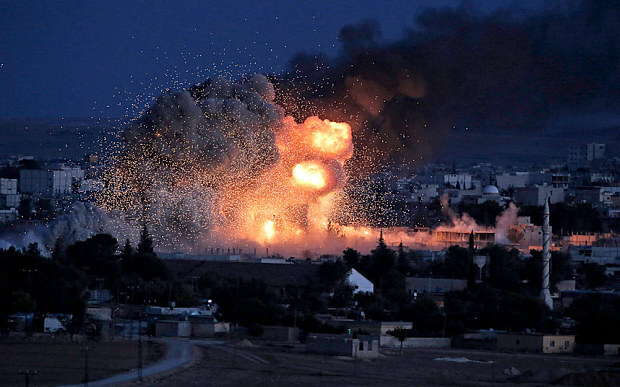 The airstrikes were conducted my several U.S. aircraft – including helicopters and drones. Military officials told the Military Times they were unable to determine how far back some information was excluded in reports. “It is really weird. We don’t track the number of strikes from Apaches, for example,” an official from U.S. Central Command said. Under definitions established by U.S.-led coalition forces in the Middle East, an airstrike can involve several different types of aircraft, including fighter jets, attack helicopters and drones. One airstrike can have multiple targets and use different kinds of munitions. However, the definitions can be skewed across the branches. Title 10 sets the laws surrounding the military’s roles, responsibilities and missions. The Air Force keeps information all missions as part of its airstrike numbers. But another major discrepancy appeared in its bookkeeping surrounding airstrikes carried out against ISIS since 2014. The Air Force says coalition forces conducted 23,740 airstrikes up until the end of 2016. However, the Defense Department put the number at 17,861 through Jan. 31. The Military Times reported that the incomplete data might date back as far as when the U.S. entered Afghanistan in 2001 and could question other data the Pentagon releases to the public, including casualties, the bill footed by the American taxpayer and the military’s progress in the war on terror in the Middle East.